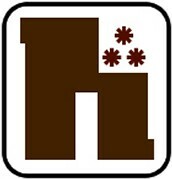 Highlands is using Smore newsletters to spread the word online. Veterans Day: Have you THANKED a VET Today? 93rd Annual American Education Week: Raise Your Hand for Student Success! Read Your Heart Out on Nov. 12! 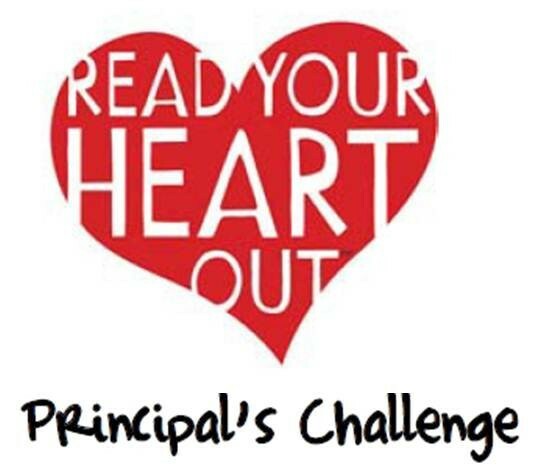 The Read Your Heart Out Principal Challenge will be held on Wednesday, Nov. 12 during the school day at Grandview as part of National Young Readers Week. Parents, community members, veterans are invited to read with Principal Mrs. Heather Hauser to show our students reading is enjoyed by everyone and not just a school-required activity. Scheduled to join Mrs. Hauser and the students are the dogs and handlers from the Grandview Reading Dogs Program, local police, firemen and emergency responders, and the Highlands Golden Rams Varsity football players. Also invited are veterans, community members, and parents. Parents will be reading with students during the lunch hour and after 2 PM. PLEASE JOIN US! CHECK IN AT THE FRONT OFFICE FOR YOUR VISITOR'S PASS! Parents of Grandview, Fairmount and Fawn students are encouraged to attend the parent workshop Helping Your Child Succeed! 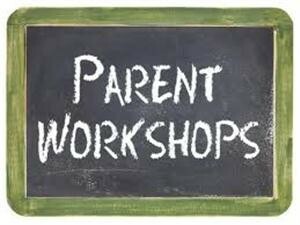 on Tuesday, Nov. 18 from 5:00-6:30 PM at the Grandview Library, 101 E. 9th Ave, Tarentum. Topics covered will be Helping with Homework; Connecting to School and Technology, and Getting Involved and Getting Information. The workshop is hosted by teachers Mrs. Lauralee Milberger and Mrs. Yvette Kowal. Contact Grandview at 724-224-0300 with questions. Highlands junior and swim team member Nathan Masarik is coordinating a Swim-A-Thon for Special Olympics in honor of Highlands High School senior Adam Witucki. The event will be held on Saturday, Nov. 15 from 11am - 1pm at the Highlands High School Pool. Swimmers and helpers are needed to make this event a success! 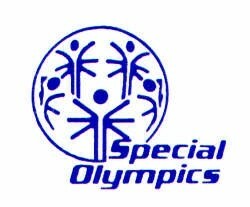 Anyone who would like to swim, help, or make a donation of any amount in honor of Adam Witucki and the Special Olympics should contact Nathan at nmasarik86@gmail.com. All are welcome to come and cheer on the swimmers on Nov. 15! Check donations should be made payable to Geppert's Guardians. Thank you for your support! Congrats to the 2014 Golden Rams Varsity Football Team & Coaches and Cheerleaders, Marching Band & Sponsors on a fantastic season! The Rams ended their undefeated season against Seton Le-Salle with a 28-21 loss on Friday, Nov. 7 at Valley High School Stadium. Congratulations to Coach Sam Albert, who was named the Greater Allegheny Conference Coach of the Year! Highlands salutes YOU for your time, service, sacrifice and dedication to our country. Check out some of the planned events on our website here: http://bit.ly/1EvE0QL . The Highlands Middle School Store (RAMS Mart) raised and contributed $245.00 for the Susan G. Komen Pittsburgh Foundation during Breast Cancer Awareness Month! The money was raised by the store "going pink" and selling all pink supplies and Breast Cancer Awareness items during most of October. Host families will be needed in the Spring for AFS International Days. Contact Kathy Harenski at 724-226-3390 or kharenski@verizon.net if you are interested in hosting an AFS student from another district overnight. Share the Warmth: Donate your gently used warm items or new items to warm those in need. Items can be dropped on the porch of 1126 Constitution Dr. in Tarentum. If you have a need for winter wear or have questions call Generations Pastor Nick Chybrzynski at 828-238-4272. Produce for People: The Valley News Dispatch is hosting the Allegheny Valley Association of Churches “Produce for People,” helping the Association’s Food Bank provide fresh food and produce to the A-K Valley on Tuesday, Nov. 11 from 5 PM to 7:30 PM in Tarentum. If you need food, bring a bag or box to the VND warehouse and sign in there. No proof of income is required. This event needs volunteers. Any amount of time is appreciated. Spaghetti Dinner for Eli: A Spaghetti Dinner will be held on Saturday, Nov. 15 to benefit Eli Swierczewski, a 7th grader battling Ewing Sarcoma, a form of cancer. Eli is the nephew of teachers Chris Nowicki & Vickie Nania. The dinner is from 4-8pm at the Our Lady of the Most Blessed Sacrament's Patterson Hall. Eat in or take out. There is also a Chinese Auction and 50/50 Raffle. Tickets are $10 for adults, $6 for children 8 and under. Tickets may be purchased at B&J Sporting Goods in Natrona Heights or by contacting Mr. Nowicki at cnowicki@goldenrams.com or 724-882-2545. Positive Athletes: Don’t forget to send your POSITIVE ATHLETE nominee to Misty Chybrzynski at mchybrzynski@goldenrams.com. Indicate the athlete’s name, grade level, sport, and how they are being a positive athlete. Please also note the best way to contact you with questions. Donate Your Used Specs Today: Tarentum Area Lions Club will be collecting used Eye Glasses in each district building! Send your used specs or drop them off to any school building to be recycled for those in need! Donations being accepted now! Salvation Army Afterschool Clubs: Looking for a great afterschool program? Check out the Salvation Army Free Afterschool Clubs on Wednesdays. Transportation available by request. Contact Jared at 724-224-6310 ext. 2 to sign up! Activities offered include Open Gym from 3 – 5pm on Mondays; Kids Supper Club from 4:30 – 6:30pm on Wednesdays and Sunday School at 10 am followed by services through Noon.